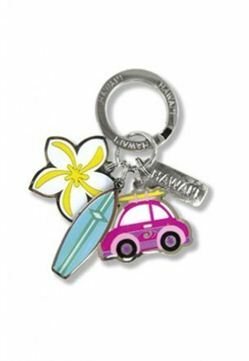 Vibrant and adorable, this Island Hula Honeys 3-Charm keychain features three Hawaiian island icons. Each keychain has a Hawaii tag and key ring. Icons measure approximately 1-3/8" x 1-3/8". Keychain measures 2-5/8".